How to Get National ID Smart Card from Bangladesh ? Home » Notice » How to Get National ID Smart Card from Bangladesh ? Are You looking for National ID Smart Card information ? 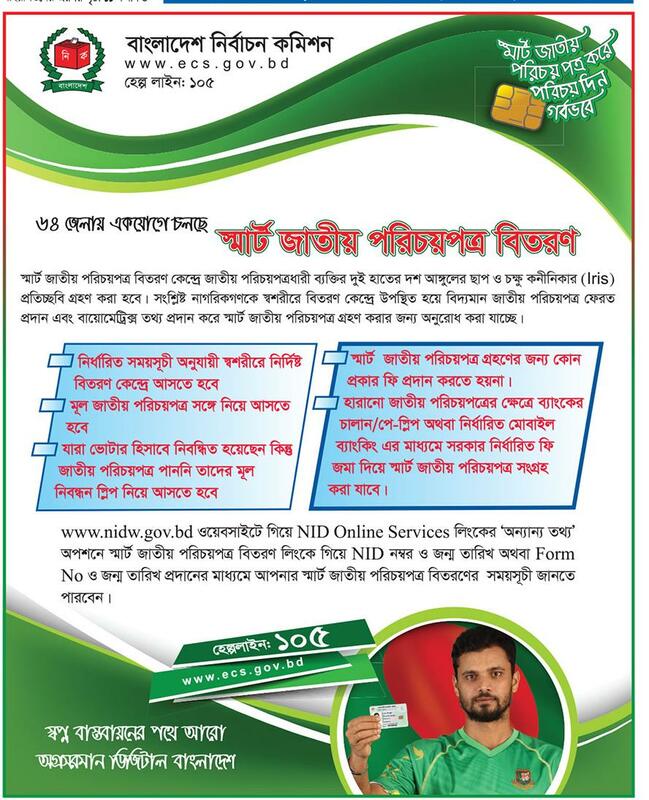 National Institute of Design (NID) Smart Card is now available in Bangladesh.Now You can easily change National ID card Photo and Others information in 2018. In this post I will tell you How You can find or check you National id card Bangladesh. Everyone can know the information of smart card distribution date and schedule at their local election commissioner office. To get information there are three ways of knowing the info. Voters Can Check Smart ID Card Distribution Date by Send SMS From Any Mobile Operator. SMS Format are Given Below. You Can Know Your Smart Card Distribution Date by Call 105 Number Form Any Mobile Operator of Bangladesh. Hope You Successfully Know about your National ID Smart Card information Sending Mobile SMS. Do not Forget to Sent Your NID Number at 105. Thanks for Stay with us. 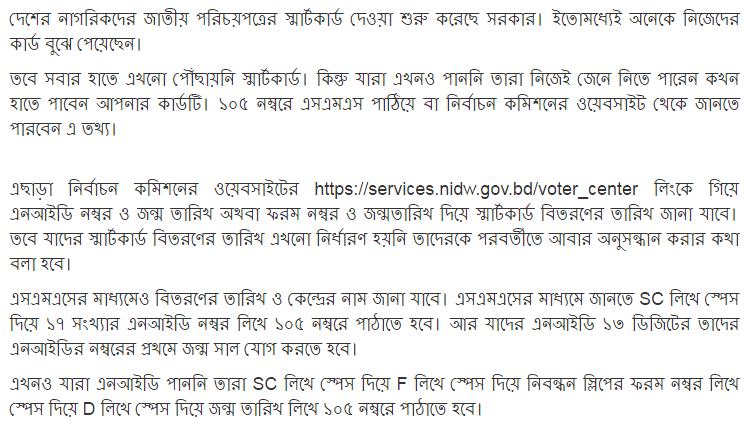 If You Follow this easy step I hope You will Get National ID Card from Bangladesh. This entry was posted in Notice and tagged Bangladesh National ID card information by ejobscircular. Bookmark the permalink.